The Information Day was held on 3 December 2011 (Saturday) and over 2,000 guests visited the HSMC campus. 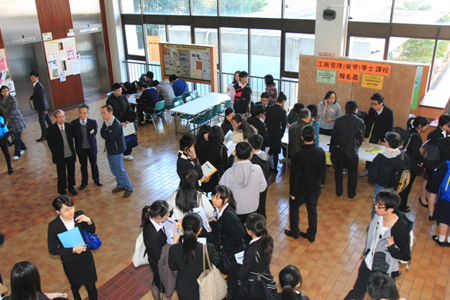 Registration counters, information seminars and booths were organized for students, parents and teachers. Students enquired at the registration counter of BBA Programme.